I partnered with my friend, Katie, as one of her Stella & Dot Breast Cancer Awareness Ambassadors and have accepted the challenge to sell 10 of these super cute bracelets “Strength” and “Inspire” in the next 10 days! 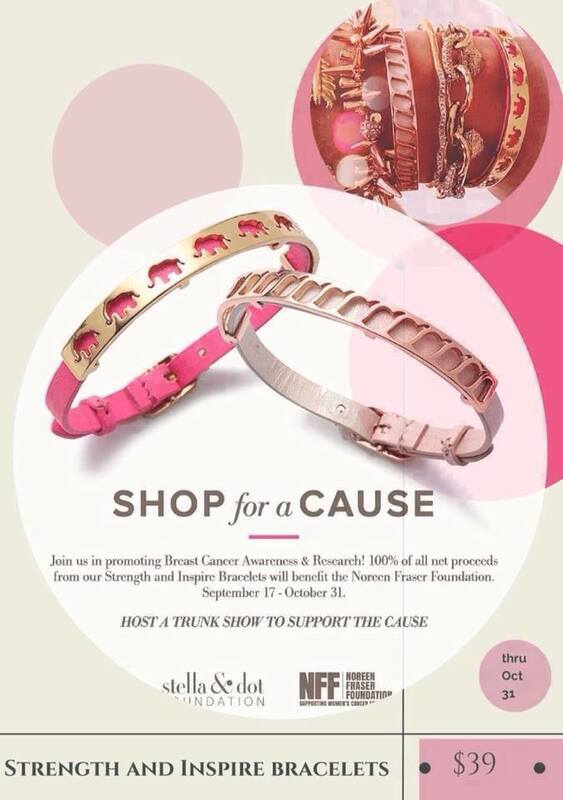 S&D is donating 100% of proceeds to the Noreen Fraser Foundation! Nothing quite as awesome as “Looking Good While Doing Good!” Please feel free to shop and share this link and help us find a cure for all women.